*Team Registration: $6 entry per person which covers registration and one drink voucher :) Come in early to register your team, questions will begin at 5:30pm! You can sign at the counter register if you want to use card, or you can pay cash/Venmo at the trivia booth @Jonah-Paraiso. Only registered teams will score points in the tournament. 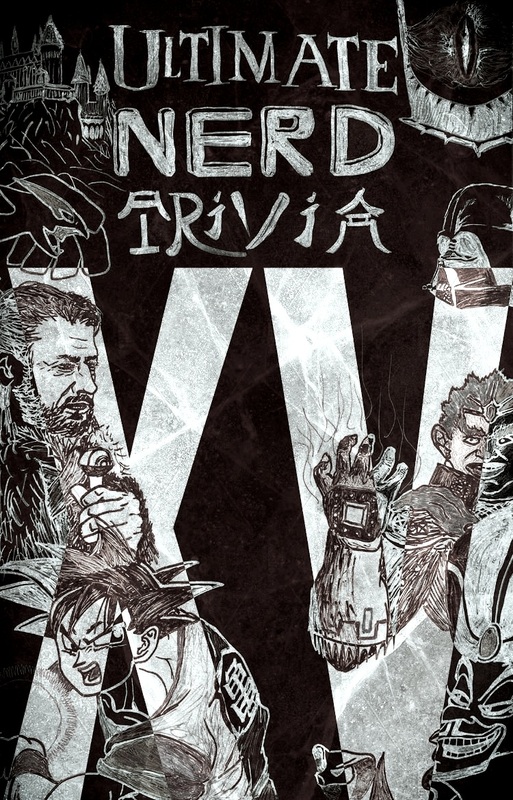 Welcome to Ultimate Nerd Trivia, where your skills will be put to the test as you embark on a journey through the multiverse! Meditate on the Force and be prepared to summon patronuses against other teams competing for treasure worthy of Captain Jack Sparrow. Nerdy costumes and witty team names will earn your team valuable bonus experience points, which could give you the edge you need to best the previous champions. May the odds be ever in your favor. Trivia will commence at 5:30pm, so gather your team ahead of time to get situated with your delicious latte or pastry. Each team will have slips of paper they will use to submit both their answers BUT ALSO THEIR TEAM NAME. If an answer is submitted with no name, then I have no way of awarding that team XP. If your team answers every question in a round correctly, you've landed a critical hit and will earn extra XP. At the very end, each team can wager up to half of their current points to either gain if they guess correctly, or lose if they fail the final question. The final question will a challenging question from a random category.